As summer approaches in the north fishermen cast their lines, children muddy their shoes, and BBQ’s start to pop up. The only thing that makes BBQ, fishing, and muddy shoes better is a nice cold drink. The importance of a cooler is often overlooked. Everyone purchases a cooler to get them through the season or event, and then it goes back into storage until the next season. Every year a cooler is forgotten about and everyone buys a new cooler to replace the one they last used. These ‘ghost coolers’ become a legacy of good times past and are found in the most inappropriate places, like an attic as storage for Christmas lights and decorations. A mental note is made to remember where that cooler is yet no one remembers. If someone does remember and find the cooler, clean the cooler out, buy bags of ice, and prepare everything they find out the cooler has leaked all over your Eddie Bauer Edition leather seats and smells like fish from when your neighbor went ice fishing. Nothing can damage a car more than a leaking of a poor-quality cooler. Quality is paramount when choosing a cooler to fulfill your needs. Coolers are used for everything from holding fish we just caught, keeping beers nice and cold, transplanting that frigid heart of your ex, or keeping hold of the pinky you lost when you thought you could fix the lawnmower without turning it off. In short, Quality Matters. 1 We will be looking at 3 factors which will impact our choice for Best Coolers. We will be looking at 3 factors which will impact our choice for Best Coolers. Coleman 54 Qt. 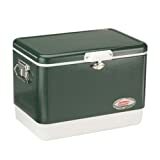 Steel-Belted Cooler starts our list because when you think camping supplies you think Coleman. They have manufactured more coolers than nearly any other brand and they know Coolers. Let’s start with Material. Coleman has reinvented the 50’s and given us a cooler that reminds us of childhood. 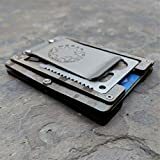 Rebuilding their original designs and making a great metal banded cooler with their hinges and handles made of a very tough and rugged stainless material to take abuse through years of opening and closing. In addition to stainless steel, it comes in a wind range of colors to match any edgy personality. At 19 lbs it’s heavy but expected with a steel banded cooler. This isn’t a negative; it can keep weight low so that it doesn’t tip over and leak in your canoe, campsite, beach, or vehicle. For winter camping/fishing, dragging this in a sled with your food inside is easy and gives enough weight to keep your sled firmly planted to easily slide. We want our coolers to hold a lot and not everyone takes up all the space with only ice. Coleman thought ahead with this tall cooler and can hold a 2-liter bottle of soda (or jug of Captain Morgan booze, who are we to judge) without having a large footprint. Tall for its width, at 25.4 x 17.8 x 17.4 inches exterior and roughly 20 x 12 x 13.25 inches’ interior. It won’t hold enough beer for your crazy uncle but has a capacity for basic needs. Users have been happy with the quality in manufacturing. Coleman gives them a good ‘heft’ even in the plastic components they use. Pair this cooler with some of their green cups or stainless mugs and you’re set to go. We were pleasantly surprised by this cooler and users have found some issues that they shared. The metal banding is wonderful but when it does leak it’s nearly impossible to locate without taking the banding completely off. While the body, and hinges, contain metal parts the lid itself is a plastic material which has, on occasion, snapped off just before the hinges or lock leaving the cooler and everyone around unhinged. Users also disliked the rigid metal banding when dented because it will stay bent damaging the sensitive plastic interior opening the seams or cracks. Overall, this is an exciting update on a classic cooler that brings back tons of memories from anyone who used one in the past. Anywhere from $83 to $113 on Amazon, it’s not going to break the bank even if it will break your ‘macho’ friend’s back. The Yeti Roadie Cooler is the perfect cooler for… Well, Roadies! This cooler just looks cool and looks like it would be found next to surplus supplies. Yeti has a vivid history with great products that have been designed, used, and abused by the Founders of Yeti. Because of the unique history of the company, originally being made for fisherman and hunters, we’re sure this cooler has the quality that can hardly be matched. The Roadie Cooler comes in 4 colors and is made of a very strong, rugged, and thick Rotomolded polyurethane construction. The walls are “Bear-Resistant” which makes us wonder what the testing must look like. We hope it’s not a hairy man wearing a lot of leather trying to open this cooler. Roadie does have some interesting manufactured perks as they have installed some tie down hooks, freezer quality gasket, rubber non-slip feet, and closure hooks that remind us of the Willies Jeeps. Yeti is made in America and the quality shows. From the rugged, thick rubber they used to the reinforced hinges you can tell care went into the design and the construction of their products. Yeti even went above and beyond with their Anchor-Point Tie Offs to allow it to be strapped down in a truck bed, on a 4 wheeler, or even the back of a motorcycle. 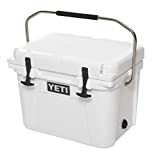 Nearly every user has been pleasantly surprised with the Yeti Roadie Cooler but not everyone reports only good things about the Roadie. Many users report leaking or quickly melting ice shortly after opening their product, even if they do cool it down properly before use. Despite minor manufacturing issues Yeti stands behind their products and has an outstanding customer service. 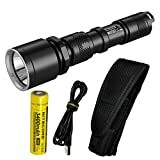 You can find the Yeti Roadie and their amazing Customer Service on Amazon from $250. The Pelican Products ProGear Elite Cooler is something we have never really seen before. Well, we’ve seen it before in many other coolers but never all together. Pelican is known for having some funky looking Coolers and this ProGear Elite is not different. The ProGear Elite Cooler is made of a mishmash of materials put together in a way only Pelican Products can. The insulation is a Polypropylene, as nearly any cooler will have, with a mix of ABS in their latches and Stainless Steel in their hardware. Polypropylene makes colors more fun and Pelican Products add a lot of ‘fun’ to the ProGear elite; this Cooler has more colors than a teenager’s hair. The ProGear Elite is 20 Qt and weighs in just shy of the Yeti Roady at 12 lbs. At 21 x 16 x 14 inches exterior and 15 x 10 x 9 inches interior it still manages to carry a lot on the inside. Remember, beauty is only Polypropylene deep. 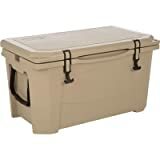 Users constantly find that a 24 pack and 10 lb bag of ice will comfortably fit inside this 20 Qt Cooler. The ice may not last for 10 days, like other products Pelican carries, but users easily find a solid 5 days of use before needing to top off the ice. All Pelican Product Coolers and the ProGear Elite are made in the USA and proudly displayed on the lid of every cooler. The durability of the ProGear Elite is hands down one of the best we have reviewed. Users rarely report issues with broken seals, hinges, or clamps. The integration of cup holders in the lid is a great benefit that Pelican always takes advantage of. It not only reduces weight but reinforces the lid. One of the reasons we didn’t jump at this Cooler ourselves was the lack of a drain plug. Even with 20 quarts, water and ice can be pretty heavy and have no way to dump the water forces user to flip the cooler over and can aid in the damage of the gasket seal. If that wasn’t bad enough Pelican Products isn’t as thorough about removing the ‘flash’, or leftover plastic flaps that remain after the manufacturing process. This increases the chance of finding a sharp or severely uncomfortable location to hold. Despite these negatives, Pelican Products always offers a Lifetime Guarantee making it a Cooler we wish to continue to try. On Amazon from $189 we will get that chance but need to find a color that will match our new Jeep Renegade. Pelican offers another great option for us with their larger version of the ProGear Elite. This visually tamed version of the ProGear Elite has on the edge of our seat for many reasons. This ProGear Elite is made of the same materials as its little brother. It has two Polypropylene handles necessary to carry this beast as well and still contains the Stainless hardware and quality we continue to see from Pelican. At 65 Qt this ProGear Elite is a beast. Measuring 19.75 x 20 x 37.16 inches exterior and 13 x 13.25 x 27.5 inches’ interior it has the capacity to hold that hog you’ve been eyeing for the pig roast. Users have reported fitting anything from 80 lbs. of ice to ~70 cans with 50 lbs. of ice, to nearly 200 lbs. of frozen food. This is the perfect tailgate addition for game day and will hold all you need for that annoying next-door tailgater that ‘forgot’ their ribs. Overall, the empty weight of the ProGear Elite 65 Qt is 48lbs. Quality control seems to have been much better with the 65 Qt with reduced flashing and rounded edges allowing your hands to only suffer under the weight of this large Cooler. It has a drain plus which is a needed update from its little 20 Qt brother. Users have reported some leaking/weeping gaskets, especially by the drain plug, and quick melting while others have reported no issues whatsoever. As with any Cooler of this size, warping is a known issue and this Cooler is not free from that issue. Being so large it is difficult to properly cool before using, regardless, users have seen nearly a ½ inch drop and dip in certain parts of the cooler. 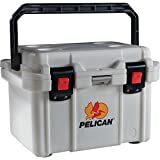 At $305 to $400 with Pelican Products Lifetime Guarantee it is nearly impossible to find another cooler with the same quality and functionality in this size. The RTIC 65 Cooler is going to give other similar Coolers a run for their money. RTIC’s motto is “Over Built Not Over Priced” and this Cooler may prove their point. Made from 2-3 inch pressure injected Polyurethane it provides a great amount of insulation and an R-value of up to 7 per inch. RTIC is one of the first to share their R-value ratings. The RTIC 65 Cooler carries Stainless, full-length reinforcement in their hinges and cut weight and costs by using molded handles with integrated rope handles. At 15.5 x 18.5 x 32.25 inches exterior and 36.5 lbs this is the perfect off-shore ice chest. RTIC states it can hold 64 cans, 70 lbs of ice, or 16.25 gallons of water. A little small for a Bluefin but large enough for any trout, salmon, or catfish you might catch. The RTIC 65 has a great way to keep everything intact without a lot of needless attachments. Integrated tie-down straps help to secure it to the floor. The best part, closed cell foam allows for a lot of abuse without breaking an interior seal. We love RTIC, their quality, and they are manufactured in China reducing their prices compared to other manufacturers. They are able to stay competitive and this hadn’t seemed to hurt their quality. Found for $200 on Amazon RTIC gives the size needed at a fraction of the competition. Grizzly Coolers Cooler name comes from the Redundancy Department of Redundancy but they make sure we know what they make. We like their no-nonsense application and marketing approach with their coolers by offering the same cooler in multiple sizes and colors. They haven’t made a lot of changes when making a new cooler but each larger size is a small ‘upgrade’ from the smaller counterpart. Sizes will range from 15 Qt to 75 Qt. We will be reviewing the 60 Qt. Grizzly Coolers material is pretty standard closed-cell polyurethane construction with rubber straps to keep the lid closed. Each cooler contains Stainless pins and screws. Grizzly also comes with some fun upgrades and licensing for Jeep, RAM, Mossy Oak, Real Tree, and Team Hoyt to set it apart from anything out there or to make it the best truck accessory. The larger models do contain a rope handle which easily tucks away and ties down points so it won’t roll over in that awesome Jeep or RAM. It measures an impressive 14.75 x 17.25 x 30.37 inches exterior and 10.75 x 13 x 24.37 inches interior and weighs 34 lbs. allowing for plenty of room for upright 2 liter bottles, layers of ice, or hiding that package of bacon at the very bottom. Who cares if it’s not the good kind of fat, avocados aren’t a legitimate replacement for bacon and they don’t store as easily at the bottom of a cooler. Grizzly states you can fit 72 cans with 20 lbs. of ice in this cooler alone. At this size, it is one of the lighter weight coolers. Made in the USA is blazoned under their logo and it is easy enough to replace or recycle the rope handles. Users have been very proud of their Grizzly Cooler and the larger models come with a drain plug and goods tray. As impressive as Grizzly Coolers are users have not noticed high ice retention. There haven’t been many reports of leaks just reports of quickly melting ice. One concern many users also had was that despite Grizzly Coolers warranty users are required to pay shipping, and in some cases a 20% restocking fee. Found on Amazon at $342 it’s still a great deal to consider. Lastly, we look at the Orca TP0580RCORCA Cooler. 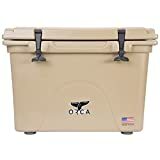 Orca is a pretty standard cooler company and has some great accessories but let’s look at the cooler itself. Made of Closed Cell Polyurethane, roto-moulded insulation they consider this an outdoor kitchen accessory and have designed and constructed it like any kitchen appliance with the materials to prove it. The rubber closure straps do make it appear as a cooler and not a chest freezer regardless of the materials. Measuring at 27.2 x 19.57 x 18.75 inches exterior and 18.5 x 12.3 x 13.37 inches interior and 58 Qt it holds nearly as much as larger competitors. At 32 lbs it can easily be carried by one person when empty. Manufactured in USA quality goes into this product and proudly displays its heritage. This is the only brand we have found that users constantly report it holding ice for 8-10 days without needing to do any extra work and the rubber gasket seems thicker and softer than the competition. Quality control is great with Orca but there are slip ups. Some users report that the gasket is incomplete around the lid. The netting on the back is awkward to use but is still a great place to store your bottle openers just be careful not to pick up the cooler with items inside the netting. For $400 and a lifetime warranty ORCA is a great product. The Yeti Roadie takes our title for the Best Cooler For The Money. The craftsmanship, materials, warranty, and design have stood out above all others as a well made, well thought out Cooler. It can easily hold enough for a few days worth of food and drinks for several people making it a perfect, all-around Cooler. Take it with you ice fishing, camping, canoeing, or to a picnic. 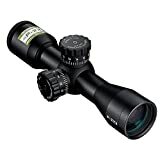 At $250 on Amazon, any problem or issue you may have will easily be taken care of with Yeti’s outstanding customer service team who pride themselves on their service and product quality.